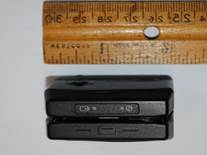 On April 21, ETSU sent out a Safety Notice alerting that a magnetic strip card reader, or skimmer, was found on a soda vending machine in Rogers Stout Hall on April 12. The vending machine the skimmer was discovered on is located on first floor, west side of Rogers Stout Hall. ETSU Public Safety removed the device and turned it over to the Tennessee Bureau of Investigation for further examination. They believe it was on the vending machine for about a week prior to its discovery. Skimmers, like the one found on campus, are mostly found at gas stations and ATMs. They are used to steal information from debit and credit cards, which is used to make fake cards to steal money from victims’ bank accounts. The Safety Notice reads that the investigation is ongoing and all of the vending machines on campus are undergoing inspection. If anyone has any information about the device or concerns, they are encouraged to contact Public Safety at 439-6900.